LINE Tools is a set of various tools to help you solve small problems, all from a snappy interface that uses the charming characters LINE, an instant messaging service. The tools are divided into many categories. In the measurement category, you will find a ruler, protractor, level, compass and monitor decibels. The tools include a time clock, a timer and a Japanese calendar. The application also includes a flashlight, calculator, converter Japanese calendar, mirror, magnifying glass and even a tool for measuring spaghetti (to calculate the cooking time). 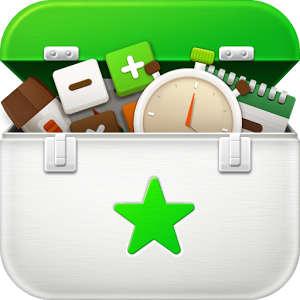 LINE Tools is a very interesting application that will turn your smartphone into a sort of Swiss Army knife. You will not only get a ton of tools, but they will also be fun to use.